Another market segment for Southern Food Systems is the dry-blend category. We like to say, if it is a “dry product,” we can blend it! 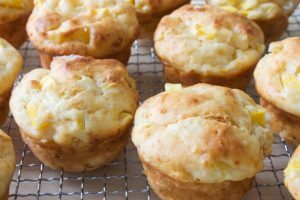 Utilizing an in-house food specialist, we develop and blend a wide variety of wholesale baked goods – everything from bakery mixes (cake mixes, muffin mixes, cornbread mix, biscuit mix, waffle/pancake mixes, etc.) to any spice and seasoning blend. We pack under our private label, Hillcrest Farms, and also under many private labels. SFS has several versions of our wholesale biscuits mix that we sell. 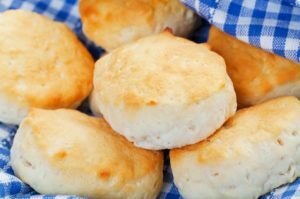 The most common is our southern-style biscuit mix. This can be packed in 6/5-pound, 25-pound, or 50-pound bags. Being that it is an “add-water only” product, it ensures consistency each and every time it is made. As a reputable and experienced food supplier, we match or create any version of biscuit mix for higher volume customers as well. We also pack in gusseted bags or gable-top boxes for that gourmet retail look. Is there anything better than a hot muffin out of the oven? At SFS we carry a wide variety of muffin mixes for you to offer to your end-users. We have a plain muffin mix (where you add the fruits or serve as is), blueberry muffin, strawberry muffin, chocolate muffin, and cinnamon chip muffin. You can also request a special flavor, and we will create it for you. The muffin mixes are packed into a 6/5-pound, 25-pound, or 50-pound bag. We can also pack the muffin mixes in a gourmet gusseted bag or a gable top box with your logo for the retail/gift bag operations. SFS has a wide variety of cake mixes to fit any needs. Some of our favorite offerings include: white, buttery yellow, chocolate, spice, carrot, strawberry, lemon, and banana. 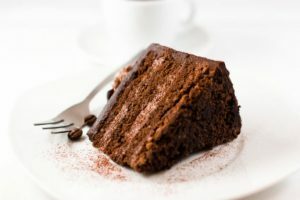 We currently pack the cake mixes in 6/5-pound, 25-pound, or 50-pound bags and the recipes are “add-water only.” Let us send you a sample today of your favorite cake. Our hot roll mix is a mainstay in a lot of places. Very light and fresh tasting, the hot roll can be a favorite with your customer base. 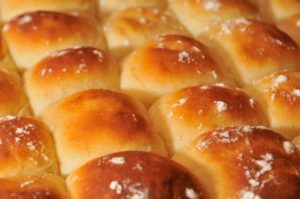 We also have a hot roll/bread mix that is a multi-use mix. This mix can be used to make a variety of breads or a hot roll as well. Both products are packed into a 6/5-pound, 25-pound, or 50-pound bag for your convenience. Ask for a sample today! All of Southern Food Systems’ donut, brownie, and cookie mixes are “add-water” only recipes. This makes for a very consistent product each and every time for your customer. 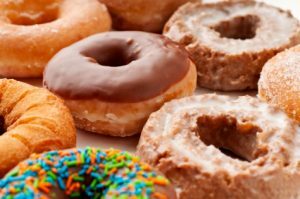 We have a wide selection of cake donut and yeast-based donut mixes that fit your needs. If you want blueberry or some other fruit added to your cake donut mix, we do that also. The brownie mixes are a fudge brownie flavor, and they can be custom blended to meet your specifications. Cookie mixes come in numerous flavors that include, but are not limited to: sugar, oatmeal, chocolate, and peanut butter. We custom pack many breading and batter systems for a wide variety of customers. 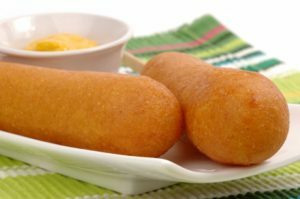 Whether it is batter for a corn dog, chicken fried steak, or a fish coating system that you need, we match or create any desired flavor profile you need. At SFS, we have customers that truly believe that gravy should be one of the main food groups. With the gravy that we sell, we tend to agree with that statement. SFS offers many gravy and soup bases for you to choose. 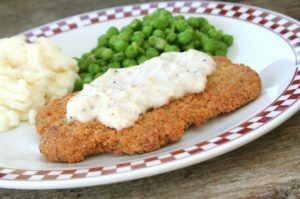 From the traditional white-peppered gravy, beef gravy, and chicken gravy to your holiday-style turkey gravy, we have you covered. No pun intended! We pack the gravy and soup bases in a variety of pack sizes, and we have reduced sodium options available as well. 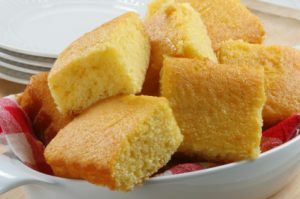 Southern-style cornbread, corn muffin, and jalapeno cornbread are some of the most common cornbread mixes that we sell. We pack these products into 6/5-pound, 25-pound, or 50-pound bags, and they are “add-water only” recipes. We also have the capabilities of packing a gourmet gusseted bag or a gable top box for the retail applications. We have a large variety of hushpuppy mixes as well. They include regular hushpuppy, hushpuppy with onion, and jalapeno hushpuppy mixes. We also match a flavor or variety that you need for your customer base. 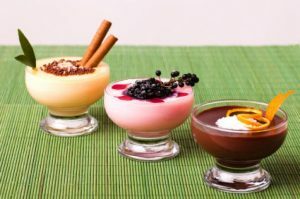 Coconut, lemon, vanilla, banana, butterscotch, and chocolate are just some of the flavors we process in our pudding mixes. The “add-water only” recipes make the consistency in our products something you will love to sell to your customers. The added convenience of your customers not having to stock fresh milk to make pudding is also a benefit they will enjoy. We pack the puddings in a wide variety of sizes. Please call your sales rep today and ask for more information and a sample. 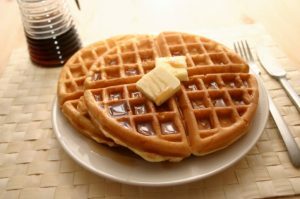 The waffle and pancake mixes we sell are flavored and packed in a large variety of ways. We have buttermilk, southern style, and blueberry pancake mixes and the same flavors on the waffle mix side. If you want a customized flavor or pack size, we can do this as well. 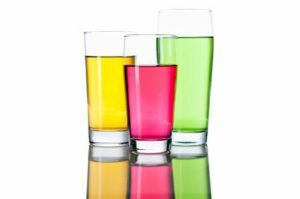 Drink mixes are a specialty of SFS, and we have many varieties for our customers to choose. We have beverages that are kid’s fruit-flavored drink style, and we have products that are enriched with vitamins and nutrients for nursing homes, schools, correctional feeding, or even an athletic team (drinks that replenish electrolytes). We make any of these variations sugar-free as well. Gelatins can be made with sugar, or they can be sugar-free. We produce them in a wide variety of flavors. 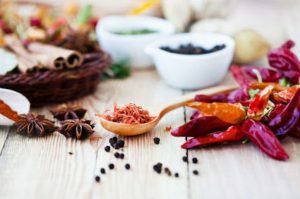 SFS has a wide selection of spices and seasonings for you to buy to add to your other dry-blended items. The ability to mix and match multiple items helps save the distributor freight costs. We match any seasoning blend or custom make whatever your customer desires. The spices can be packed in chef’s jars, chef’s jugs, bag in a box, 6/5-pound, 25-pound, or 50-pound boxes. Contact us to order your wholesale baked goods today. We have a national platform of delivery and can proudly serve from coast to coast.